In the dark of night, a photographer with a flash has captured an inky meadow in an unsuspecting instant. He has revealed the mystery in a moment. This is a moody, energizing print that’s great for pattern matching. This is a loosely, gesturally painted floral wallpaper design with an enlarged canvas texture. Daisies, delicate dots of foliage and grass explode out of a dark background. 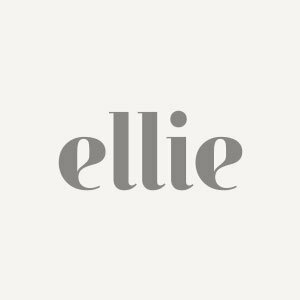 What distinguishes Ellie’s floral wallpapers from your (great great) grandmother’s - aside from how easy they are to work with - is the larger-than-life-scale of the flowers. In ‘Moonlight Meadow Black’, the largest flowers are 47 cm (”) in diameter.